In Virginia, an angler can qualify for "Master Angler" status by logging freshwater trophy fish, dubbed "citations", through the Virginia Angler Recognition Program. Once an angler has logged citations in 5 different species he/she then reaches "Master Angler" status. There are 25 citation eligible species and for every 5 different citations the recipient is upgraded in class(1-5) until he/she reaches Class 5 Master Angler. As of July 2015 there are only two living Class 4 Master Anglers and no class 5 Master Anglers in the state of Virginia, which is a testament to the difficulty and challenges that come along with researching, chasing, and eventually catching the largest specimens in each of the numerous species. 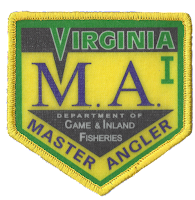 Along with Master Angler accolades, Virginian anglers can also qualify for "Expert Angler" status by catching ten trophy size fish in a single species. Expert Angler can be achieved for all 25 trophy species in Virginia. 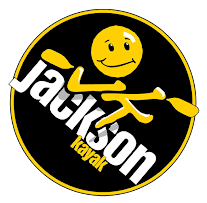 This page categorizes our journey to become the first kayak fishermen to achieve Class 5 Master Angler status. Largemouth Bass 8 lbs. 22"
Smallmouth Bass 5 lbs. 20"
Rock Bass 1 lb. 12"
White Bass 2 lbs. 8 oz. 18"
Striped Bass 20 lbs. 37"
Hybrid Striped Bass** 8 lbs. 24"
White Perch 1 lb, 4 oz. 13"
Channel Catfish 12 lbs. 30"
Blue Catfish 30 lbs. 38"
Flathead Catfish 25 lbs. 40"
Rainbow Trout 4 lbs. 22"
Brook Trout 2 lbs. 16"
Brown Trout 5 lbs. 25"
Chain Pickerel 4 lbs. 24"
Northern Pike 6 lbs. 30"
Yellow Perch 1 lb. 4 oz. 12"
Freshwater Drum 6 lbs. 24"
A strong and flexible fishing rod is very important for fishing time because when you catch the big fish it would be critical factor of you. So When go to fishing any place things to consider fishing rod before fishing. Read out your article. Great one. loved it. Continue onward. you are a best author your site is exceptionally helpful and useful a debt of gratitude is in order for sharing!